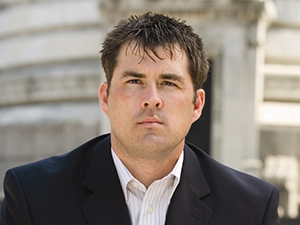 If Marcus Luttrell had merely qualified to be a Navy SEAL, served in an Afghani hot zone or written two best-selling books, he'd have an inspiring story to tell. But the drama doesn't end there, as moviegoers are learning from the hit film based on his life, "Lone Survivor." It's the story attendees will hear from Luttrell himself at this year's Restaurant Leadership Conference. Luttrell's account is one of military courage and commitment, of four young men trapped in a life-and-death situation that tested their principles and strength. In a keynote address during the first general session of the RLC, he'll explain how he found the resolve to keep fighting and survive, even as his buddies were dying around him. It's a tale of bravery and character not only on the mountain where Luttrell was gravely wounded, but of how that struggle continued after he was rescued and returned to the United States. In case you missed the movie, Luttrell's book of the same name or profiles on programs like "60 Minutes," here are the fundamentals of his life-threatening experiences on a remote mountain in Afghanistan. In 2005, he and three fellow SEALs were sent on a clandestine mission to kill or capture a Taliban leader with suspected ties to Osama Bin Laden. After quietly infiltrating the area, the four SEALs bivouacked for the night. While the Americans were asleep, children tending goats literally stumbled across the soldiers. Knowing word of their presence would spread to local militants, Luttrell and the older soldiers discussed the harsh reality that they'd survive if the young goat herders were killed or at least held captive, but they released the children unharmed. As they feared, the SEALs were soon attacked as they tried to navigate a near-vertical mountain climb. All but Luttrell were shot and killed. He suffered shrapnel wounds, and he broke several vertebrae as he tumbled down the mountain. He was found by locals who took him to their village. They rebuffed continuous threats and demands from the Taliban that Luttrell be given to them. The villagers turned for help to Marines in the area, who set in motion a helicopter rescue several days later. Luttrell returned home to recuperate—and then re-upped for another tour in Afghanistan. He would retire from military service in 2007, when he wrote "Lone Survivor."